During new patient exams Dr. Nugent does a complete evaluation of the mouth including detailed examination of each tooth’s gum tissue. Furthermore, the hygienists regularly update the status of the gum tissue. The gum tissue forms a pocket around the tooth. A pocket from zero to three millimeters is considered normal and healthy as you are able to clean food and bacteria out of the pocket. 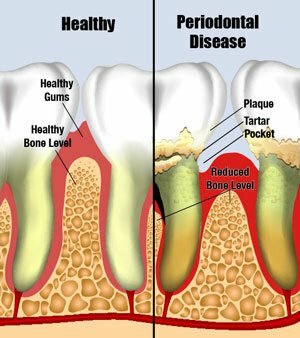 When the pockets get larger than three millimeters periodontal disease has started because you are no longer able to remove bacteria, plaque and food particles from the pockets. The bacteria release their waste and toxins, the immune system is hyperactive and the result is the tissue detaches from the tooth and the underlying bone is destroyed. The new larger pocket allows more bacteria to hide causing a vicious positive feedback loop. 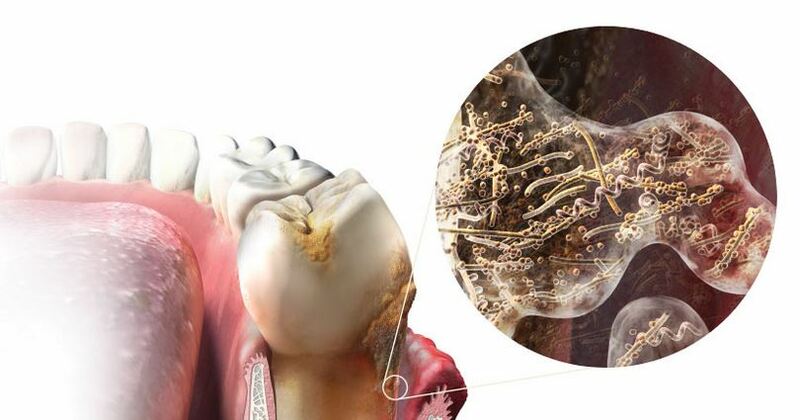 For patients that have Periodontal Disease, scaling and root planning (also called deep cleaning) is necessary. This deep cleaning removes the plaque, calculus (tartar), and bacteria from the pockets. Additionally, local antibiotics can be placed in the pockets to help accelerate the healing process. The goal of the deep cleaning is to remove the noxious stimuli and give the tissue a chance to be healthy and reattach to the tooth eliminating deep pockets. Then you can maintain healthy gum tissue at home. Dr. Nugent has wonderful hygienists to clean your teeth. Our office is located at 3421 Burk Rd Ste A, Pasadena, Texas 77504. Make sure you have a healthy mouth! Call us at 713-941-8261.